If there’s one thing Patti Smith is known for, it’s defending the Twilight movies against haters. And if there’s a second thing Smith is known for, it’s guest-starring on Law And Order: Criminal Intent. Then, a little further down the list, she’s known for writing books, and that’s about it. Her last book, the memoir Just Kids—about her relationship with artist Robert Mapplethorpe—won the 2010 National Book Award for nonfiction. Now Pitchfork brings word that Smith has penned a new memoir, M Train, to be released by Knopf on October 6. It will in all likelihood be an excellent book, much like her last one. It will not, however, be the kind of thing you throw in the bag for a light beach read. 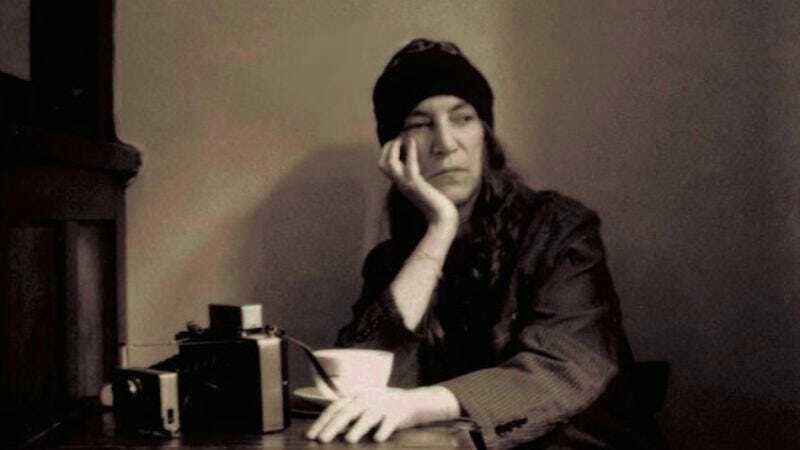 Patti Smith does not know what a “beach” read is. It’s possible she’s never been near a beach, unless you count Coney Island at 3 a.m., drifting fluidly between the waking world and melancholy visions funneled through a worn copy of On The Road, a theophany of stale cigarettes preaching the hollow truths of the universe.